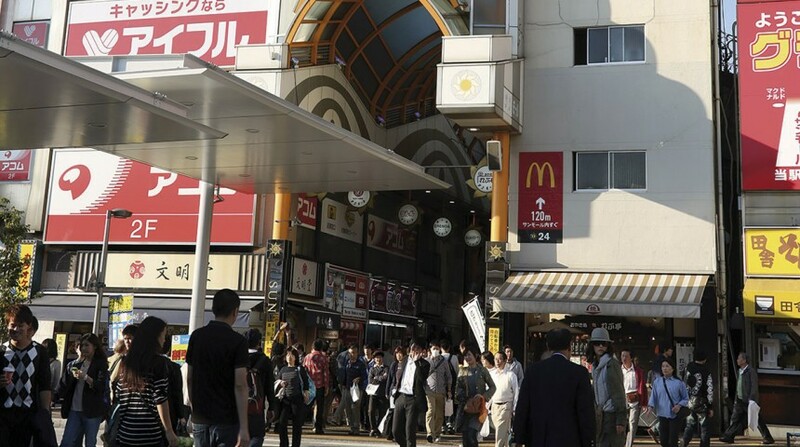 Due north of the station, Sun Mall is a long, glass-covered arcade running for several blocks and filled with over a hundred shops and restaurants on either side of the walkway. 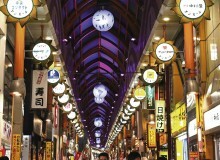 The shopping street bustles with busy consumers and window shoppers, who can flit or meander from store to store without fear of foul weather. Fujiya Camera specializes exclusively in cameras, and stocks a wide selection of new and used equipment from all major manufacturers. Staff are friendly and knowledgeable—many are amateur, if not semi-professional, photographers themselves. 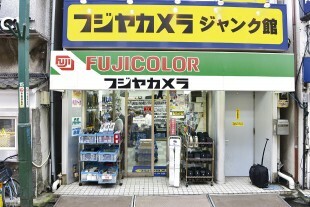 Fujiya Camera actually has three stores in close proximity on a side street off of Sun Mall. Across from its main two-story shop is a smaller “junk” shop with recycled camera parts and components for sale. The third shop sells used camera equipment, such as tripods and storage bags, at substantial discounts along with new items. Customers can even trade in their existing camera equipment on the spot to save money when upgrading. All three shops are duty free for travelers, and definitely worth a trip! Tsujiya is a family-owned business that has been supplying shoes to Nakano visitors across many generations, tracing its history back to 1926. 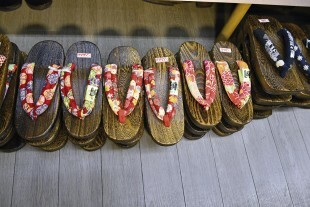 The shop is an excellent place to find a set of traditional footwear to accompany Japanese garments like kimono or yukata, even offering large-size geta sandals to accommodate foreigners with larger feet. There’s also a variety of modern shoes, including the styles of boots that are quite popular with the cosplay crowd. Tsujiya also stocks a wide made-in-Japan selection of sturdy, storm-resistant umbrellas along with traditional wood and paper parasols. 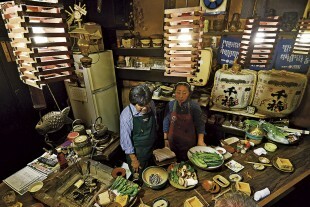 “Made in Japan” is the key theme of this shop, which sells tableware and other decorative household items. The shelves are brimming with domestically produced and occasionally handmade bowls, cups, small dishes, and—perhaps more unique in this modern age—a wide selection of traditional Japanese teapots and vessels for sake. Maruzen’s products are mostly ceramic, but also include glass, wood and plastic. 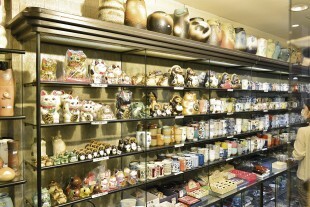 Products that are particularly popular among foreign visitors are little statues of Japanese raccoons known as tanuki, or the beckoning maneki-neko cat statues, as well as chopsticks and cartoon-themed tableware. 5-67-12 Nakano, Nakano-ku, Tokyo. Tel: 03-3387-0882. Browsing the shops in Nakano’s Sun Mall is bound to work up your appetite, and Umeya is a convenient place to enjoy a simple light meal or sumptuous Japanese sweets. This small restaurant with 20 seats was founded in 1956, and although the menu has since expanded, third-generation operator Momoko Okamura still follows her grandmother’s recipes for customer favorites such as the inari-zushi set (vinegared rice stuffed in fried tofu slices) and the cream anmitsu (a traditional Japanese dessert with cold agar jelly cubes, boiled red peas, sweet bean paste, various fruits and syrup). Okamura says her menu is very healthy, as it has vegetarian options and limits the use of added sugar. 5-58-6 Nakano, Nakano-ku, Tokyo. Tel: 03-3387-2390. You might be forgiven for thinking you’ve traveled back in time after walking into Robo: most of the decor hasn’t changed since this Japanese pub, or izakaya, opened in 1961. The cozy establishment of seven seats offers patrons something very unusual in modern Japan: the chance to drink sake poured directly from a traditional keg, or taru. Customers can also create their own custom orders, such as requesting fresh vegetables to be cooked on Robo’s authentic charcoal grill. 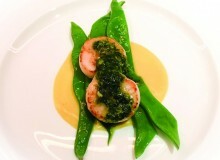 Don’t be perturbed by the lack of prices on the wall menu—checks average around ¥3,000. 5-55-17 Nakano, Nakano-ku, Tokyo. Tel: 03-3387-0646. 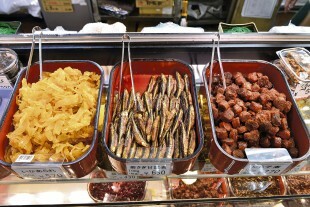 Tempting food smells come wafting from this corner store that prepares bento lunch boxes and side dishes—most of which use original recipes from when the shop opened in 1948. Every day Washiya offers 10-13 different types of bento boxes featuring either fish, chicken or pork as the main entrée. The bento boxes are inexpensive, with a tax-inclusive price of approximately ¥500 making them popular for workers in nearby offices as well as locals who prefer not to cook for themselves. 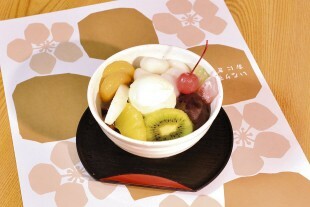 Customers can also self-select from nearly 100 varieties of side dishes, paying by weight for their desired amount.